Everyone needs that one tried, and true pair of black leggings amirite? I think I've found mine. Last year around November, I ordered the Girlfriend Collective legging because I kept seeing on Facebook how it was only $19 which was the price of shipping. I mean come on, who can resist that? After browsing through the website, and reading about how one of their designers spent her past time at Lululemon (hello? another favorite of mine!) - then I knew I had to check it out. If you ordered these too, you know that the package took a while to come in. I believe I ordered them late summer and they came in early November. This I'm guessing is because they're made and shipped from overseas, and maybe due to demand? Not sure. My first impression, honestly, was: "oh no I don't like these". I didn't like them at first because as I was putting them on, the waistband kind of curves in (if you know what I mean) and was a little tight around my waist. I didn't like that feeling because I don't like feeling constricted when I'm supposed to be in my comfy yoga pants. Yet as I wore them more, and maybe after a couple washes, I felt that they started to fit much better, conforming to my body. Is this the legging that gets better with time?! So far, I have not noticed any pilling or threads coming loose. Also, the fabric seems to be holding itself up well! I love wearing mine to workout (obviously), and to class and while I'm studying - really, anywhere! I've dressed it up (not TOO dressed up, because you can definitely tell they're workout pants due to the stitching), and I've dressed it down. These leggings also has some compression - not too much, not too little. Especially over time, I feel that the compression is perfect (remember, they take some time to conform to your body). Another thing I like about this brand is that they are making these leggings with sustainable means. 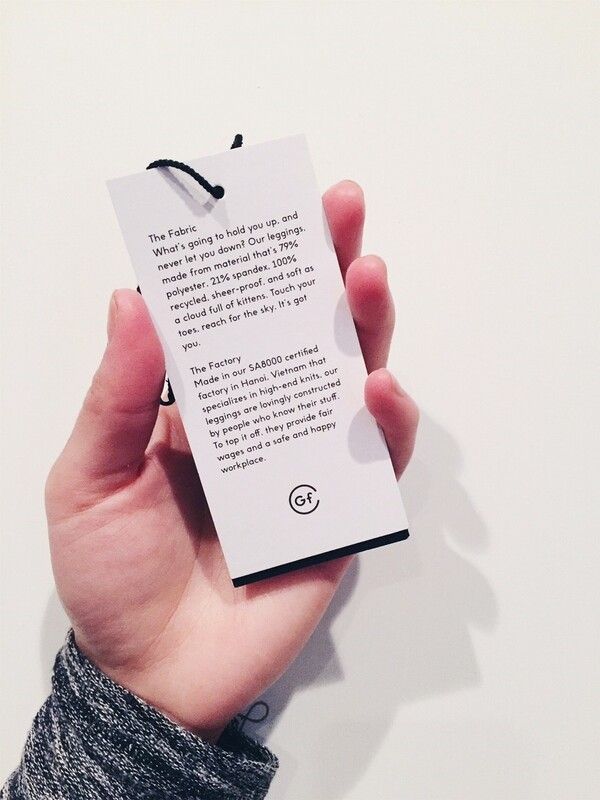 Read more about their brand and how each pair of leggings are made from 25 recycled water bottles here. 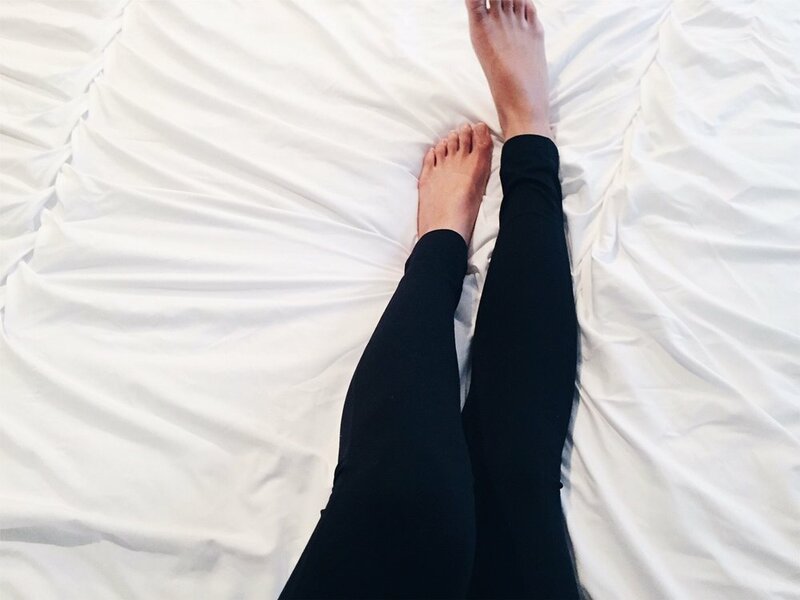 Let me know if you've ordered/tried the Girlfriend Collective leggings below!